Richard Irwin (Belper, United Kingdom) on 25 March 2009 in Plant & Nature. comme des guirlandes sur le ciel ! Another great image. I like the way the shoots caught the light. Terrific capture! That's just the way it looks around here right now. The blue sky just makes everything pop...great job. great documentary of spring in this series! No background better than the blue sky. i'm ready. i like it. great blue color here! 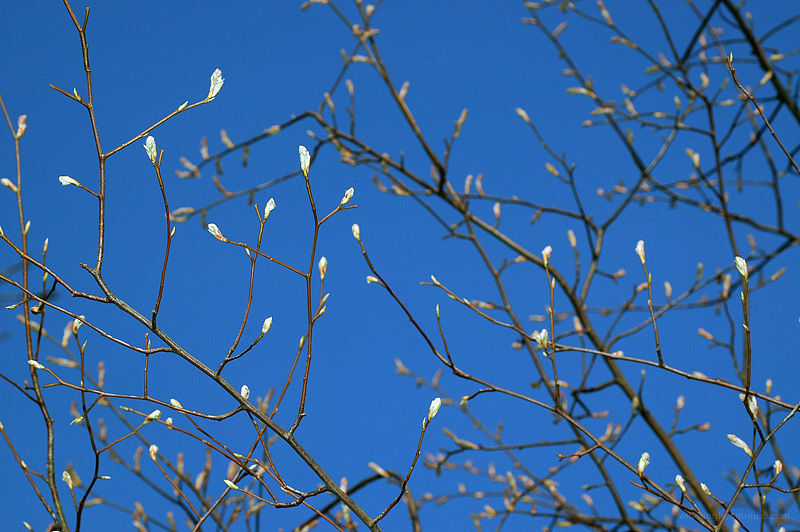 i like how the buds branch out in all directions in preparation of spring! Oh, lovely! We're all budded out, also, but our beautiful blue sky turned all gray and rainy. Darn. That really puts a damper on the photography. The demand it be Spring. Nice blue sky. Stunning observation, the leaves are like little lights, shining to show their beauty. Very nice shot with this blue background.